The people of yesteryear knew how to let their hair down at the fairground just as we do today – only with fewer health and safety regulations. 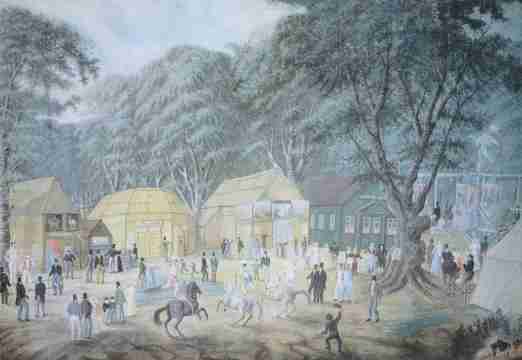 Roller coasters, Ferris wheels, merry-go-rounds and swings; the popular rides that we know and love today have a long history that is revealed through watercolours. Numerous images exist, for example, of the so-called ‘Russian Mountains’ that are often described as the precursors to roller coasters. 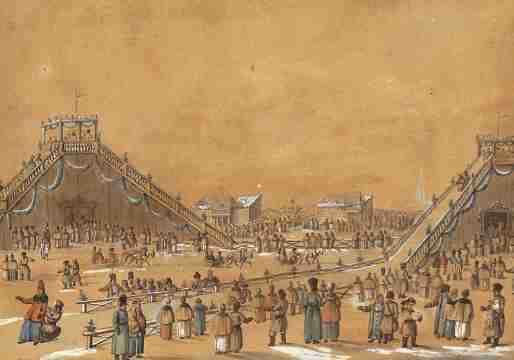 Adventurous Russians would climb the steps to the top of the large wooden constructions, before plummeting down an ice-covered ramp, often using sleds or carts. 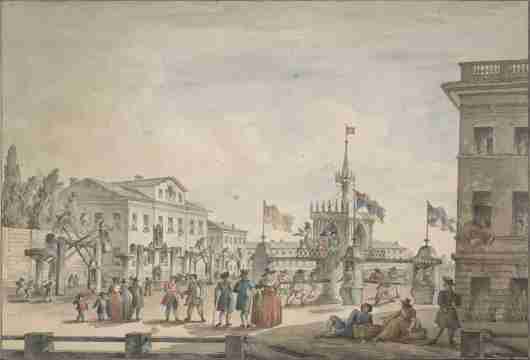 The rides originated in the 18th century and became extremely popular: even Catherine the Great had one built. 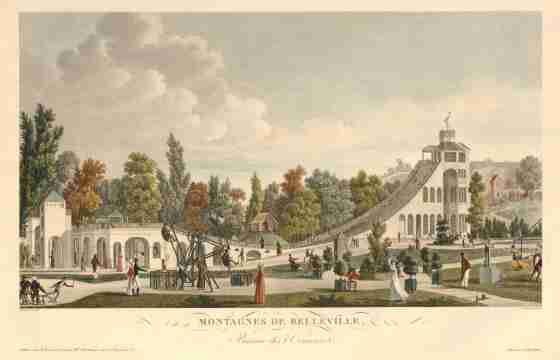 By the early 19th century Russian Mountains were being built in Paris, with a few modifications. 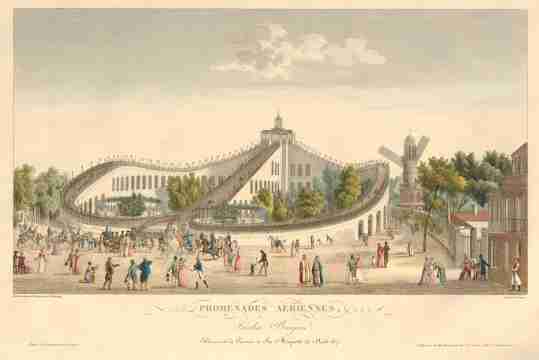 In 1817, for example, Nicolas Beaujon opened the Promenades Aériennes (or ‘Aerial Walkways’) in his Parisian amusement park. 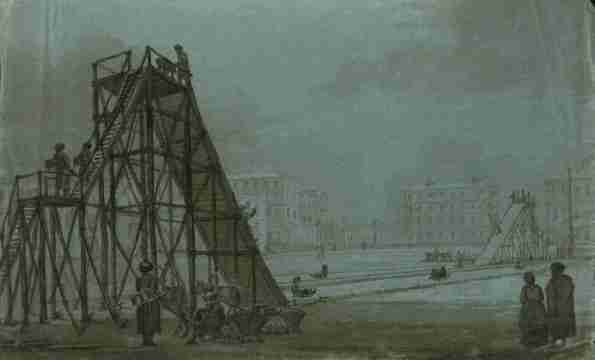 The ride featured wheeled carts locked into a pair of continuous tracks that peeled off from a central tower. Once the carts had been hauled to the top, they were released to the mercy of gravity and sped back down towards the ground at speeds of up to 40mph. Less adventurous visitors to the park were invited to walk down pathways next to the tracks instead. 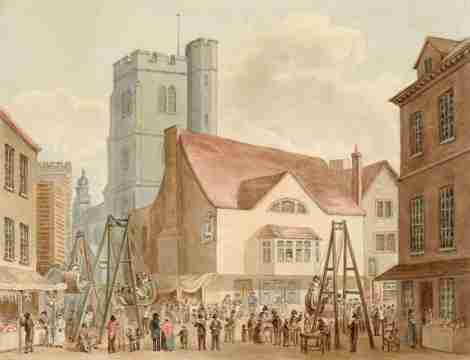 Hand-turned versions of the ride called "up-and-downs" are known to have been used in England in the 18th century. 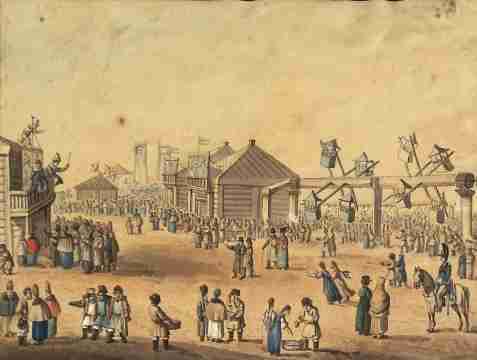 Among the images below you’ll find two depictions of Russian pleasure wheels, showing teams of strong men employed to turn the mechanism that keeps the pleasure-seekers in motion. 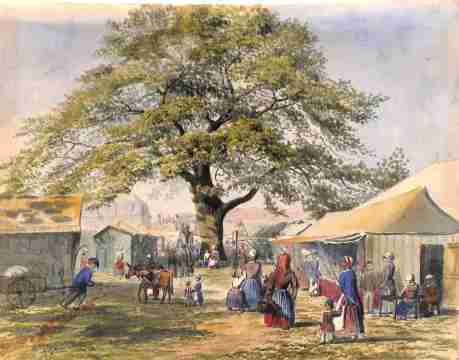 Other longstanding popular rides include swing-boats and merry-go-rounds, while early fairgrounds also provided safer forms of entertainment including acrobatic performances, puppet shows and horsemanship displays. How many different rides and displays can you spot in the gallery – and would you dare to have a go on any of them?